Every summer we invite to a special culinary treat in our nursery: The Cacti Dinner. Scroll down to reserve you seat for next year. In 1997 the first official cacti-dinner took place, Dr. Werner Hoffmann from Geisenheim, who was one of the fathers of the cacti-dinner, hosted this evening with enormous success. 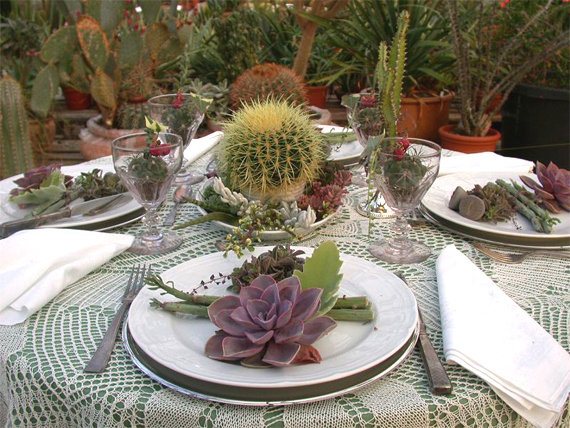 The cacti-dinner was planned as a big gala-dinner based on cacti meals, which was served in a suitable setting. The success on the event was just great. So we decided to repeat the dinner in the following year. On July 11th 1998 the second cacti-dinner was served in one of the large and beautiful greenhouses. The culinary responsibility for the preparation of our five course menu was taken by Ulrich Manck and Manfred Sawo. Both are successful celebrity-chefs, who are running restaurants in Erfurt. This year our guests were so impressed that some of them spontaneously decided to already book their seat for 1999. While 1997 and 1998 the catering was done by the Haage family and friends. Since 1999 preparation and serving lies in professional hands. This cacti-dinner, which now took place on two days, became a great success again. The media had started to get excited and german Television stations reported about the event. The cacti dinner is a very special evening and a great success. 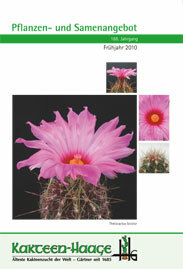 looking for an desert cactus?